Cobaltite (cobalt brilliance), is a sulfide of cobalt and arsenic. Glance (glitter, glare) metallic. Opaque. Colors: silvery-white, rose. A line is grey to black. Fracture, break padman, uneven. Fragile. Cleavage perfect absolute. 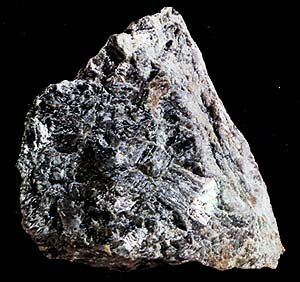 Appears mainly in skarn (mountain rock stone quartz, consisting of silicates of calcium, magnesium and gland, appearing at affecting of molten magma or hot water solutions limestones, dolomites and marls. ), rarer in hydrothermal vein, lode, mines. Crystals (cube Crystal structure) are often as pentagonal-dodecahedron, also dense continuous aggregates or sprinkled ores. Deposit minefield mine field occurrence subsoil: in Ore Mountains (Germany, EU), in Germany, to England, Norway, CIS (Zakavkaze, Transcaucasia), Canada, Morocco. Crystallized as individuals, which are cubes, octahedrons and pyritoedres, sometimes - combination of two last forms usually. 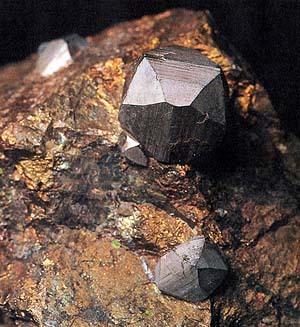 Verges of crystals are usually with shading, like a Pyrite. A rare silvery-white mineral consisting of cobalt arsenic sulphide in cubic crystalline form: a main base ore of cobalt, used in ceramics. Formula: CoAsS. Cobaltite all the same more frequent be found as massive accumulations, dense or grainy addition. Possesses perfect cleavage, fragile. Colors of mineral hesitates from silvery-white with violet reflections to black-gray. Opaque, possesses metallic brilliance of different intensity. There are varieties more heavy and hard. Dissolves in an aquafortis; melt fuse enough easily, forming a submagnetic, weak-magnetic marble. Cobaltite - typical mineral of hydrothermal genesis. Be found mainly in veins and vein, lode, mines among granites and pegmatites. In the United States this mineral be found in Colorado, Idaho and California. The most considerable deposits are in Canada (A cobalt is in the province of Ontario) and Mexico (deposit of Sonora). Wonderful crystals act from Sweden, Great Britain, Norway, Germany, Russia, Morocco, India and Australia. Cobaltite is in nature in great numbers and has an important economic value as ores on a cobalt. This element is used in many industries of industry for a receipt preparation became.